Qigong is the ancient art of Chinese self-healing. Qi translates as ‘life energy’, gong as exercise. Cultivate a variety of easy to learn, yet powerful forms , designed to connect you to your body and help bring a lasting sense of harmony and well being. Mindful movement exercises connect us to the natural flow of Qi in and around us and thus to the root of our vitality. Ideal for those recovering from illness, surgery or managing long-term health conditions: physical, mental or emotional by clearing energetic blockages and removing stagnation from the body: combat stress, aches, pains, depression and tension, whilst strengthening the body and promoting inner stillness. ‘Body flowing smoothly like clouds and water. Mind clear, open and tranquil.’ Tao Te Ching, Lao Tsu. Release tension and energy blockages, increasing flexibility and vitality, bringing us back into balance and allowing healing to take place. 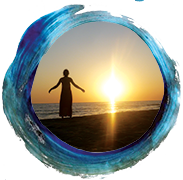 You can book private one-to-one Qi Gong sessions with me. Learn movements forms to support your individual condition, improve your posture. In my practice or in your home.